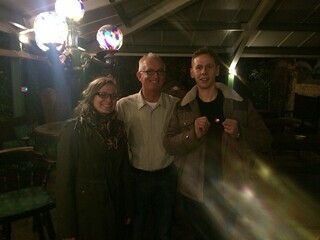 James Eeles (R) proudly displays his Digbeth is Good badge, with Pamela Pinski (L) and John Gordon (M). Every week, Digbeth Residents Association have been holding community screenings of Peaky Blinders at the Spotted Dog. A couple of weeks ago, we were lucky enough to host James Eeles, who played the Digbeth Kid in the series. James was an absolute delight, and was seriously pleased when receiving his Digbeth is Good badge! DiG contributor Mitch Mansfield interviewed James at the screening: click below to hear what he had to say! This Thursday we’ll be watching what promises to be the spectacular finale to the second series at the Spotted Dog and everyone is invited! Along with free Digbeth pies, and some live jazz in the background, James has agreed to return to Digbeth for the screening, but this time he’ll be bringing actor Paul Bullion with him! 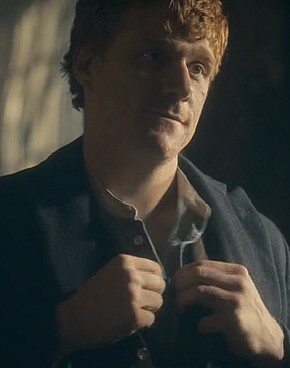 Paul Bullion, pictured here as Billy Kitchen in Peaky Blinders, will be joining fans at the Spotted Dog on Thursday 6th November. Paul played Billy Kitchen in the series, the glue that held the Shelbys and their Black Country neighbours together. So we hope to see you all the Spotted Dog on Thursday, for great drama, great company, pies and Peaky Blinders!